You can go from stable to extinct within the space of a minute in steampunk RTS They Are Billions. Sounds miserable, but mastering the learning curve is part of the fun. In order to ease the agony of that process we have assembled a They Are Billions guide, replete with tips for expanding your colony, defending it, and surviving the brutal last few waves. 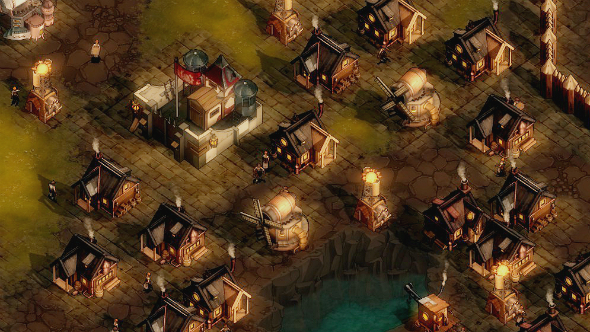 They Are Billions starts you off with a mansion, enough resources to build a few houses and workstations, and a some troops to tide you over until you can start building walls. From there on it is up to your skills in leadership and management to expand the colony and prepare it for the task ahead: surviving upwards of 80 days against endless legions of undead. 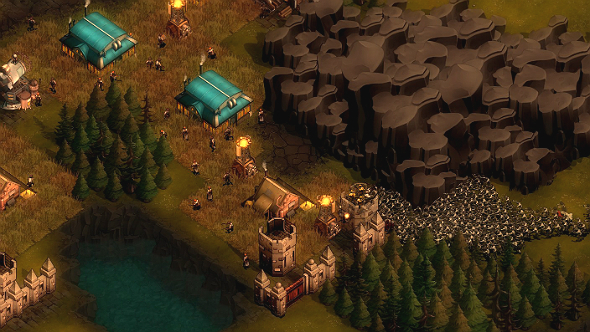 You will need plenty of luck in order to fend off the shambling masses, but by prioritising the right resources and heeding the advice of this They Are Billions guide, you might just make it. After more games that make you think? Check out the best strategy games on PC. Soldiers are crucial to your They Are Billions survival. You can use troops to head out into the world and collect resources like wood, stone, iron, and gold, as well as explore the surrounding territories for natural choke points you can funnel zombies through. 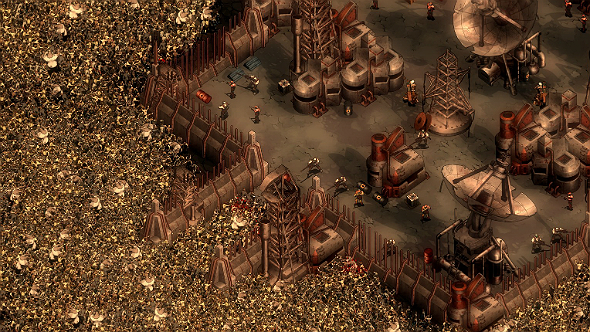 They Are Billions units are just as important as walls as if left uncontested, even a single zombie can break through fortifications and turn your entire colony. Quick and agile archers. Rangers are early game They Are Billions units that are cheap to produce and make minimal noise, thus attracting very little attention when scouting out the map and gathering piles of resources. Stronger than the Ranger, the Soldier creates a lot of noise when firing its rifle, which can attract additional enemies. It is best to keep these units close to your houses just in case the horde manages to get close. The Sniper takes a long time to take a shot, but they deal a lot of damage and knockback, making this one of the best early game They Are Billions units for dealing with high HP enemies. However, you will have to research the Sniper, which you can do after building the Wood Workshop. You will need a Foundry and an Engineering Center in order to produce the more exotic They Are Billions units like Lucifer, Thanatos, and Titan. Lucifer is a flamethrower unit that can burn enemies to a crisp up close, but cannot fire through walls. A squad of Lucifer units are great at holding down tight areas of the map, but use them with caution as their flamethrowers can also harm friendly units. 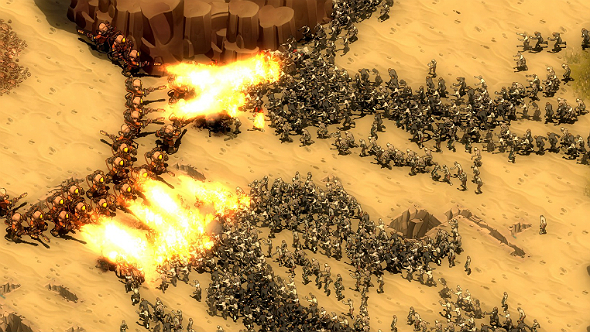 These They Are Billions units are also great at clearing out Villages of Doom. When the undead start pouring across the map in waves you will want an group of Thanatos units ready to greet them at your walls. These giant warriors fire rockets at the enemy, helping to disperse large groups of undead. Thanatos are also some of the best melee They Are Billions units in the game, so do not panic if it looks like they are about to be overwhelmed. The crème de la crème of zombie eradication, Titans are like mobile Executor turrets and can clear the map with ease when working together. These massive clockwork walkers are armed with a pair of rotating cannons that deal a lot of damage across a small area of effect. You can plonk a Titan anywhere and expect it to get the job done; you can even block an exposed section of wall with them thanks to their huge collision boxes. Money makes the world go around, and in They Are Billions it is essential for combatting the walking dead. Gold lets you buy and maintain your buildings and pays for your army. Fortunately, gold is produced by every household of colonists, so the more houses you have, the more gold you will produce. You can wring even more money out of those households by building a bank nearby. Markets are another helpful tool for making your colony as efficient as possible as they automatically sell any excess materials produced. Better still, markets let you buy and sell resources, letting you bolster your balance in trying times. Much like gold, workers are essential and simple to accrue. You get workers from houses, and you use them to run nearly every type of building in the game. You can increase the number of available workers by building houses and upgrading buildings so as to maximise the amount of resources you are earning per worker. It is also worth bearing in mind that training soldiers uses up workers, so if you want the ability to create a large number of troops the second a horde appear over the horizon then you will want to keep a few workers on standby. Workers are only useful if they are alive, so it is important that everyone in your colony is fed. Early in the game you will get most of your food from Hunters Cottage and Fisherman Cottage buildings, making the most of nearby resources. Later on, however, you will want to to focus on Farms and Advanced Farms as you will quickly run out of lakes and forests to harvest food from. Expansion, high-tech units, and endgame buildings all require a lot of energy. To ensure you have enough juice to run your colony you will need to make a lot Mills, Advanced Mills, and the odd Power Plant, although you should limit the number of Power Plants you build as they consume Wood and Stone. Mills cannot be packed together too closely, so consider leaving space for them as you expand certain areas of your colony. Wood is the most basic building material. That means you will want a lot of it. As many as three Sawmills should keep you well stocked for the duration of a They Are Billions run, depending on the difficulty setting, of course. As you approach the end of the game, wood becomes a valuable source of income as it is required for fewer and fewer buildings and units. You will want an abundance of stone as you seek to quite literally set your colony’s borders in stone. This building material is stronger than wood and a double-layered stone wall should block every access point to your colony. Stone walls are so tough when doubled up that they can be used to simply slow down the horde, allowing you to rotate troops around the base, or get away with having minimal defensive buildings in certain areas. 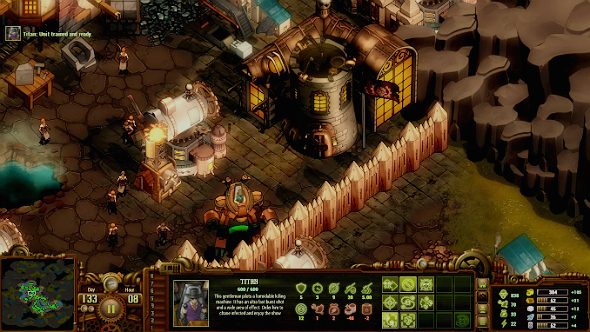 A resource that will become essential for building the more exciting They Are Billions units and structure, iron can be tricky to get hold of, often forcing you to expand your base in order to reach a good source of it. Iron is important for upgrading buildings and building more powerful units like the Lucifer, Thanatos, and Titan. Another resource that only comes into play later into your They Are Billions runs, oil is important for advanced buildings and troops like the Titan. You can gather oil by placing an Oil Platform over what looks like a hot spring. This should accumulate more oil than you actually need so do not hesitate to sell some of it in the market if funds run dry. The tidal waves of undead might seem like the most obvious threat facing your colony, but they are rare and deadly They Are Billions enemies that you should be prepared to face once you hit the halfway point of your survival run. There are three colours of standard, shambling Infected that should make up the bulk of the early hordes you will face, not to mention the most common enemy to encounter when clearing out the map. These chaps do not deal much damage and take an age to reach their target – even a group of Rangers can make short work of this enemy type. Zombies are all fun and games until they can run. Runners are tough to beat out in the open, but their lack of health makes them easy to whittle down from behind a few defenses. There are Fresh Infected and Infected Colonists, both of which pose a similar threat, but there are also Infected Executives who deal more damage and have nearly twice as much health as other Runners. Four times as tough as a Slow Infected, ten times as damaging, faster than any They Are Billions unit you can build, and able to leap over walls – the Harpy is tough to prepare for. Fortunately, their speed ensures they are the first enemies to arrive at your gates, giving you a chance to eliminate them and regroup ahead of the main horde. These infection-spitting nasties are the only They Are Billions enemies who can attack from range. This means they can break down walls and defenses without taking any damage, and destroy some of your slower units like Lucifer with ease. The best way to beat a group of these troublesome foes is with a Thanatos or a group of snipers who can safely combat Venom with their superior range. The most recognisable They Are Billions enemy, you will start facing these bloated Infected early on. They are as fast as Runners, deal four times as much damage, and boast a whopping 13 times as much health – taking them down early should always be your priority. With your spawn location, map, and distribution of enemies changing for every survival run, there is no way to fully prepare. To combat that, we have devised the following They Are Billions tips to help guide your colony to safety. Walls are a bit pointless early on and use up valuable gold and wood. It is also difficult to assess where you want your final walls to be when your colony is still expanding. While walls are still advised to protect your houses and seal off isolated choke points, you can keep stragglers away from your base by setting patrol routes for your troops. 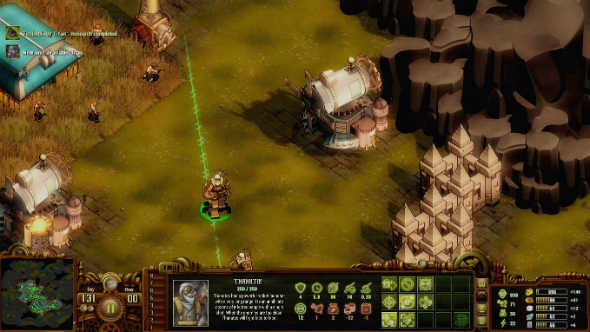 A pause function sort of undermines the RTS attributes of They Are Billions, and sure enough, a number of playthroughs have already been completed without the pause button. But if you are struggling then using this function can be a lifesaver. Pausing the action lets you queue up a bunch of actions that would be impossible to carry out in real time, letting you not only counter huge swarms of zombies by rearranging troops and hurriedly building defensive structures, but also letting you make the most of peacetime. If there are no immediate threats to quell that does not mean you can sit back and relax. The steady amping up of horde size and danger means the only viable counter is to expand your colony and develop new technologies. This arms race means you can never stop building. Ever. In addition to the previous They Are Billions tip, if you are going to be building and expanding aggressively then you cannot afford to let any of your resources fall by the wayside. A lack of workers, food, or energy can create a bottleneck in production that can only be solved by destroying one of your structures, simultaneously adding to your workload and slowing down production. Something to schedule for the halfway point of your survival run when you can spare a squad of soldiers or Thanatos units, clearing the map of enemies not only reveals vital choke points you can use to channel Infected swarms into death traps, but also reveals bonus resources, and makes the challenging final wave a little easier to overcome. Enemies you find wandering around the map will join swarms, buffing their numbers by huge factors, especially for the final wave where the Infected attack from every side. By taking some time to chase down any additional Infected across the map you can make the final swarm a little more manageable. Need to buy some time while you finish building some final defenses or shift soldiers around the map? Rangers make excellent bait for splitting up huge packs of undead or holding the horde up a few vital seconds. Simply get a few Rangers to head out in the direction of the horde and then use the pause function to manage your Rangers so that the horde is split into several clumps – you can then send your Rangers to safety. They might be slow, expensive to train, and unable to attack through walls, but a squad of Lucifer units is sufficient to hold down most choke points. This is especially helpful for the final wave as you can send a Lucifer units out to thin the horde before they even reach your walls – if you have any weak points then these guys are more than capable of taking the brunt of the assault. What is stronger than one wall? That is not a trick question, it might sound obvious that two walls are stronger than one, but it is one of the best They Are Billions tips going. 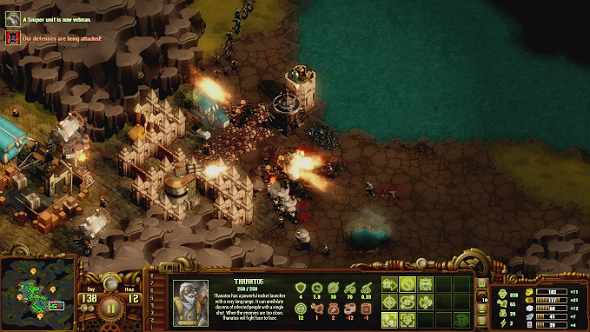 Owing to the limited range of towers and troops, stopping a horde is all about stalling them in one location for as long as possible, and stacking up walls doubles the amount of time enemies are under fire before breaking through. 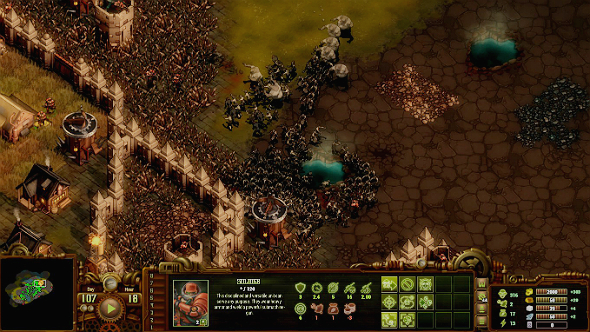 They Are Billions only lets you make your walls double thick, but you can always place another double stack layer of walls behind a tower to slow the horde for a bit longer. The Shocking Tower can be useful for holding down choke points, but nothing beats a pair of Executor towers in crossfire positions. At minimum, you should have a pair of these towers covering every wall that borders your base, not to mention a few dotted around your houses should the horde make it that far. Do not hold off buying Great Ballista as you can upgrade them once you have researched Executor towers. This cannot be stressed enough as They Are Billions tips come – once the Infected break into your houses, your colony is as good as wiped out. If one Infected manages to get into a house then the building’s occupants fall to the disease and, suddenly, you have nine zombies to hold off instead of one. Pack your houses close together, border the section with a double stone wall, and place a couple of Executor towers nearby. Losing other buildings to Infected is not as problematic as they tend to be spread out across your colony more evenly than houses and do not all contain workers who can be turned. As you near the final few waves of Infected it becomes increasingly important to deal with the special zombie types like the Chubby, Harpy, and Venom, as these can easily break through your defenses. 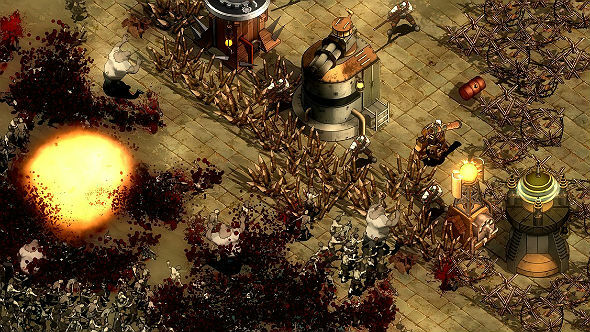 Thankfully, They Are Billions lets you set the targeting priorities of towers and troops to either nearest enemies or toughest enemies. Keep units like Lucifer, Soldier, Ranger, and Thanatos set to nearest, but set Executor towers, Snipers, and Titans to attack high level enemies first.